This pie is bursting with blueberries. Great made with fresh or frozen blueberries. Roll out half of the pastry a little bigger about 11″ diameter and fit into pie pan. Roll out the top crust 12″. In a bowl, mix the sugar, flour, lemon juice, and blueberries. If you have frozen blueberries, let the mixture sit 15-30 minutes before adding to pie pan. Pour the blueberry mixture into the pie pan. 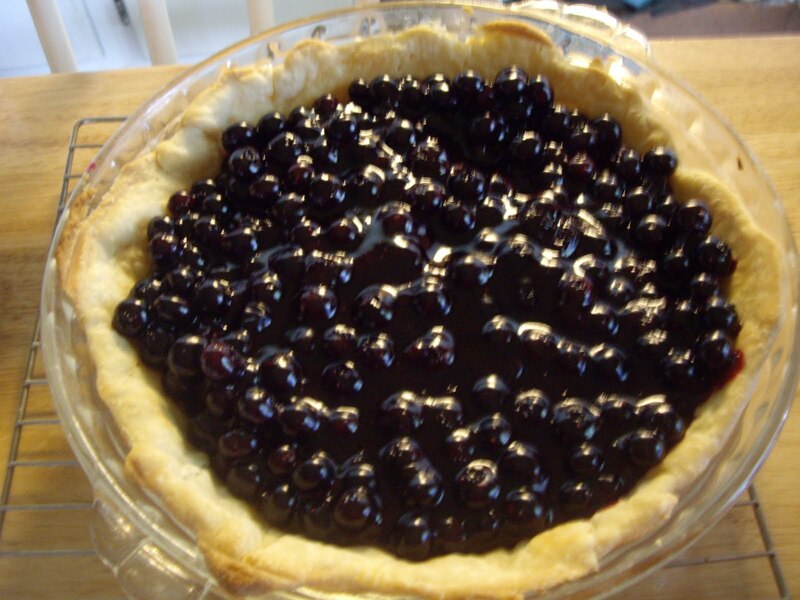 Lay the top crust over the blueberries and tuck the top crust under the bottom crust and crimp to seal. Brush a little milk over the top crust. Sprinkle with a little sugar. With a knife, make slits in the pie crust to allow steam to escape. Cover the edges with a pie shield OR a foil ring. Bake for 25 minutes from fresh fruit and 50 minutes for frozen. Remove shield or foil ring. Bake for another 20-30 minutes or til top is golden. Remove to cool on a wire rack. If you have leftover pastry make cinnamon pastry roll-ups! This is my favorite type of blueberry pie. 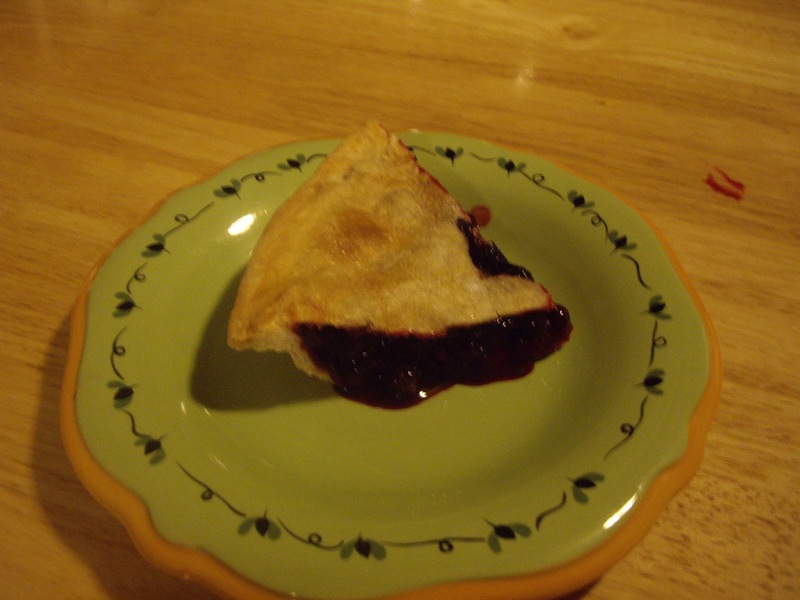 It is made with a prebaked pie crust filled with fresh berries in a syrup. It is super good. I got this recipe from one of my Rose Levy Beranbaum cookbooks. She is one of my favorite cookbook authors. Bake your pie crust as directed and set it to the side until ready to be filled. Stir together 2 Tablespoons water and the cornstarch. Set aside. Place 1 cup blueberries and 1/2 cup water in a medium saucepan, cover and bring to a boil. Lower the heat and simmer, stirring constantly for 3-4 minutes. The blueberries will start to burst and the juices will start to thicken. As you stir, add the cornstarch mixture, sugar, lemon juice, and salt. Simmer for another minute until the mixture becomes translucent. Remove from the heat and fold in the other 3 cups of blueberries. Spoon the blueberries into the pie crust. Let sit for 2 hours before serving so the pie will set up. You may keep this pie at room temperature for two days. No longer. If you have some left after that time, store it in the fridge.